Were you injured in an accident where you suffered a brain injury? 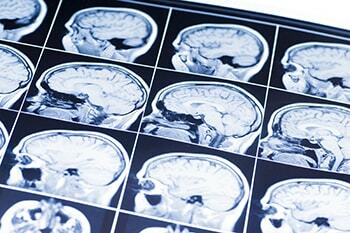 Brain injuries can be caused by a number of different types of accidents. However, they all have one thing in common — the damage is almost always life-changing for the victim. With even a minor brain injury, the victim may require a lot of treatment and significant time to heal, while a serious injury may be irreversible and cause devastating damage to the victim. Once you move past the initial stress of medical treatment and the associated pain and suffering, there is likely ongoing treatment, and the inability to work creates additional stress and financial strain that is not good for the healing process. Even with an accident where you think the brain injury is relatively minor, it’s important that you speak with a Philadelphia brain injury lawyer who can advise you of your options. At PhillyLaw, our attorneys have the necessary experience to help you assess your options and get you the compensation you deserve. Our brain injuries lawyers work with an expert staff of doctors, nurses, and other medical experts to help you build the strongest case possible. Traumatic Brain Injury: Traumatic brain injuries, often referred to as TBIs, occur after some type of head trauma. It can either be an open or closed head injury. This is the type of brain injury typically seen after an auto accident, motorcycle accident, slip and fall, violent assault, domestic violence, sports accident, or premises liability case. Hypoxic Brain Injury: This injury results from a lack of oxygen to the brain. This can be caused by everything from smoke inhalation to birth injuries. Medical malpractice can also cause a hypoxic brain injury when anesthesia is not administered properly, or diabetes is mismanaged after a surgical procedure. Medical Conditions: A variety of medical conditions can cause a brain injury. Some of these include tumors, meningitis, encephalitis, or a stroke. For medical conditions that were mismanaged or misdiagnosed and ultimately resulted in a brain injury, there may be an element of medical malpractice. A Philadelphia injury attorney is the one who can advise you as to whether your situation qualifies as a case of medical malpractice. According to the Centers for Disease Control and Prevention (CDC), traumatic brain injuries are a major cause of disability and death in the country. Statistics show TBIs are a contributing factor to about 30% of all injury fatalities in the United States. On average, 153 people die each day from an injury that has some element of a traumatic brain injury. Brain injuries not only affect the victim, but they have lasting effects on the victim’s family and friends. In 2013, there were about 2.8 million emergency room visits, hospitalizations, and fatalities that were related to TBIs. 47% of TBI-related medical visits were due to a fall, with the youngest and oldest age groups being the most affected. The next most common cause of a TBI was due to being struck by or against an object. Motor vehicle accidents were the third overall leading cause of TBI-related deaths. Concussion: A concussion can cause a loss of consciousness, but not always, and is the most common type of brain injury. Contusion: A contusion causes an area of bleeding on the brain that may require surgical removal in serious cases. Coup-contrecoup: A coup-contrecoup injury is defined as a blow to the head that causes an injury to the opposite side of the victim’s brain after it strikes both sides of the skull. Diffuse Axonal: A diffuse axonal injury is one that is caused by rotational forces or strong shaking. These actions cause the nerve tissue to tear, which can cause severe brain damage, coma, or even death. Penetration: This is when a foreign object, like a bullet, strikes the head and then penetrates the skull, subsequently entering the brain. A brain injury is typically fairly easy to diagnose, especially in the case of traumatic brain injuries, since there was a defining event that caused the injury. Addressing a TBI’s severity can be more challenging, and medical professions rely on a variety of objective tests to determine the extent of the injury. One of these tests is called the Glasgow Coma Scale. This rates a victim’s motor responses, verbal responses, and eye responses. Each section is rated from 1-6 and the scores are then added up to get an overall rating. The lower the score, the more serious the injury is. In more severe cases, a victim may fall into a coma or enter a vegetative state. In the event the doctors cannot measure any brain activity, the victim is declared brain dead. If you or a loved one was injured in an accident, had a birth injury, or suffered a medical condition that led to a brain injury, it’s important to talk to a lawyer as soon as possible. An experienced brain injury attorney can help you get justice and compensation for your medical bills and pain and suffering. At PhillyLaw, we fight for our clients and aren’t afraid to take a case all the way to trial. Contact our office today to schedule a consultation.